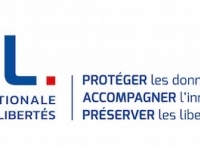 CNIL IS AT THE SERVICE OF FERNCH CITIZENS The media impact of the GDPR led to a record number of complaints and an increased awareness among citizens In 2018, CNIL received a record of 11 077 complaints (+ 32,5% compared to 2017). About 20% of these complaints are tackled in the framework of European cooperation with other Supervisory Authorities. These complaints relate mainly to : Dissemination of data on the internet (373 requests for delisting , a right now consecrated by the GDPR). People massively request their data to be deleted from the internet (names, contact details, comments, photographs, videos, accounts, etc.). These kinds of complaints show how difficult it can be for individuals to manage the digital life, and in particular their online reputation: 35.7% •	marketing / business: 21%; •	human resources: 16.5%; •	banking and credit: 8.9%; •	health and social sectors: 4.2%. CNIL identified several emerging trends: •	Remote viewing of CCTV images; •	Installation of cameras in care units; •	Use of the right to data portability by banks customers and online content services users; •	Increased awareness among citizens regarding the security of their personal data in all sectors; •	Individuals show concern about the kind of data mobile applications access on their smartphones. Change in the procedures for the exercise of rights for specific State files The decree of 1 August 2018 implementing the Data Protection Act now provides a direct principle of the exercise of rights for some specific State files.. Beforehand, as most of the State files were previously subject to the regime of the right of indirect access, CNIL was the main contact for individuals. CNIL is no longer the primary contact for State files. 4264 requests for indirect access rights were addressed to CNIL in 2018, mainly concerning the TAJ and the FICOBA file. 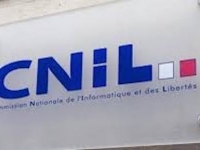 CNIL ADVISES PUBLIC AUTHORITIES The CNIL Board issued 120 opinions on Government’s draft legislation related to the protection of personal data or to new processing; as well as 110 authorizations. CNIL also participated in some thirty parliamentary hearings. CNIL helps professionals to own the GDPR CNIL : an authoritative information source for companies and businesses Companies and businesses rely on the numerous tools for GDPR compliance CNIL has been developing and makes available on its website (Data Protection Impact Assessment software, MOOC online training, etc.). "The GDPR effect", already felt in 2017, was accentuated in 2018: •	189 877 calls werereceived (+ 22% compared to 2017); •	283 742 consultations of the GDPR Q & A section (+ 59% compared to 2017); •	8 million visits on cnil.fr (+ 80% compared to 2017). New tools for compliance •	The Data Protection Officer (DPO): ◦	51 000 organizations opted for a DPO, creating a population of 17 000 officers (pooling effect) ; ◦	16 000 are public bodies; ◦	2 adopted DPO certification standards. •	1,170 data breach were notified in 2018, a significant number concerned data privacy breach. The enforcement at the service of data security Investigations CNIL carried out 310 investigationsin 2018, divided into: •	204 onsite investigations (including 20 investigations of CCTV systems). •	51 online investigations •	51 investigations on the basis of documentation •	4 hearings Orders and sanctions In most cases, the orders issued by CNIL resulted in the organizations’ compliance. 49 orders were adopted in 2018. Two sectors were particularly targeted: •	5 orders in the insurance sector; •	4 orders concerned companies specialized in advertising targeting via a technology (Software Development Kit) installed in mobile applications. These orders are closed now. 11 sanctions were pronounced by the restricted committee: •	10 monetary sanctions (including 9 public and 7 which concerned breaches of the security of personal data); •	1 non-public warning; •	1 nonsuit.